This 64-year-old female presented with a history of heavy smoking that had recently quit. She was referred to Dr. Ohnmacht through the lung cancer screening program after an 8mm nodule was identified in the RUL. The patient wished for the mass to be resected. 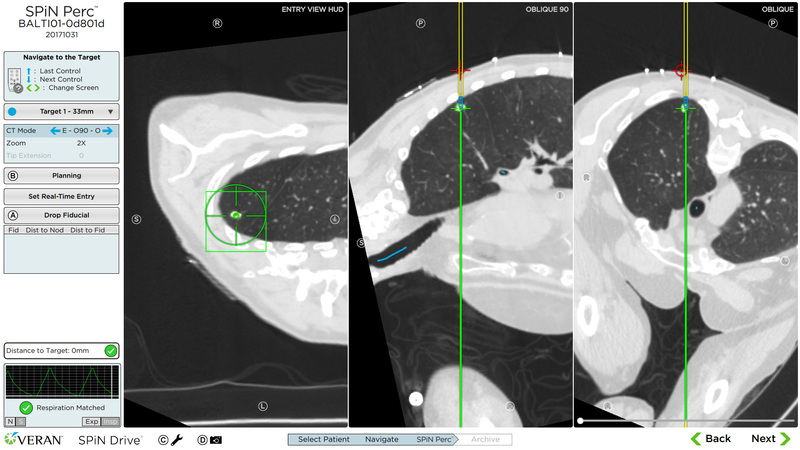 Using a same-day respiratory gated scan performed in the lateral position and the SPiN Planning™ software, Dr. Ohnmacht targeted an 8mm nodule in the RUL that showed 11mm of movement during the respiratory cycle. After determining it’s location and movement, he selected the best entry point that would allow for the shortest skin to target distance and that would avoid any vital structures along the path. The procedure began with carefully positioning the patient and accurately identifying the entry point and trajectory using the SPiN Drive® software. 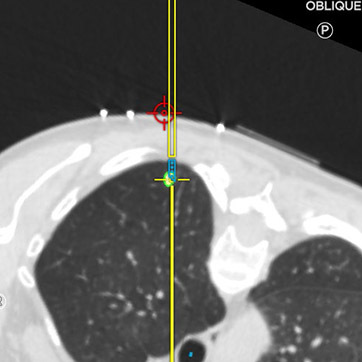 While monitoring respiratory gating, Dr. Ohnmacht successfully navigated to the set target and injected 0.7mL of methylene blue using the 1cm SPiN Perc™ Localization Needle. After resecting and sending the specimen for frozen section analysis, it was found that the marking of the nodule was spot on with final Pathology reporting adenocarcinoma with negative margins. Due to the diagnosis, a lobectomy was performed. 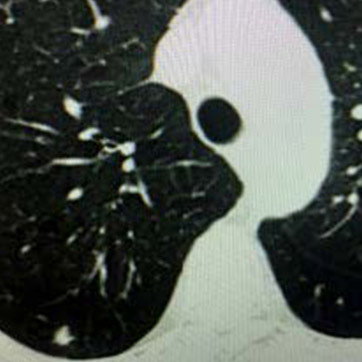 The accurate marking of such a small nodule allowed for a diagnosis and treatment of this lung cancer at the earliest possible stage. 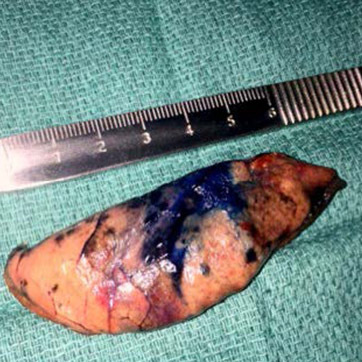 The patient was discharged home within thirty-six hours post-op without complication.